7.5 km from Louisville Intl. Located in West Main Historic District, this motel is within a 10-minute walk of Fourth Street Live! and KFC Yum Center. Louisville Palace and Riverfront Plaza Belvedere are also within 15 minutes. 5.6 km from Louisville Intl. 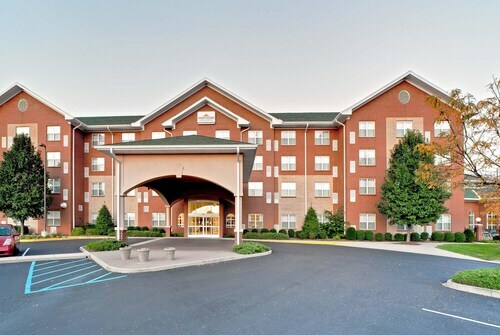 Situated in Louisville, this hotel is 2.1 mi (3.4 km) from Louisville Zoo and 2.4 mi (3.8 km) from Louisville Mega Cavern. Kentucky Exposition Center and University of Louisville are also within 6 mi (10 km). 2.7 km from Louisville Intl. 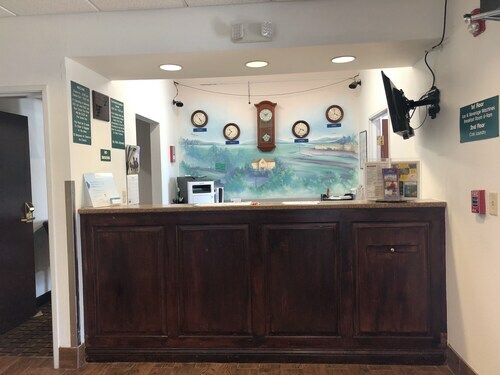 Situated near the airport, this motel is within 3 mi (5 km) of Freedom Hall, Kentucky Exposition Center, and Kentucky Kingdom. Louisville Mega Cavern is 3 mi (4.8 km) away. 20 km from Louisville Intl. 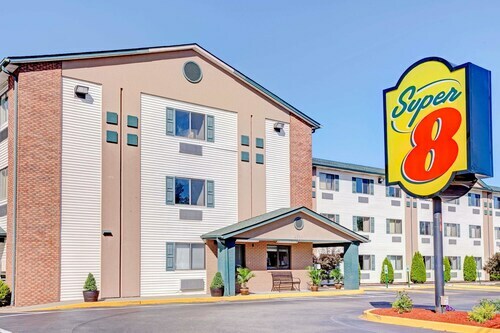 Situated in Louisville, this hotel is within 3 mi (5 km) of Skyview Park, Townfair Shopping Center, and Hunnington Place Shopping Center. IceLand Sports Complex and E P Tom Sawyer State Park are also within 9 mi (15 km). 11 km from Louisville Intl. 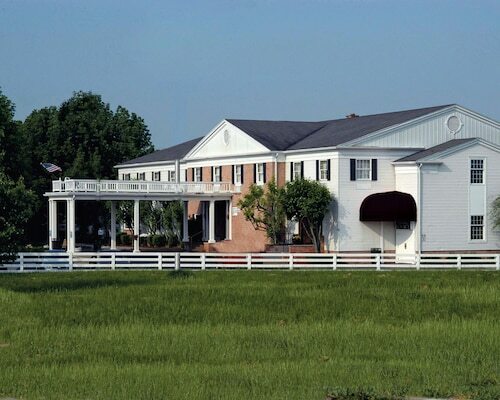 Breckinridge Inn is 6 miles (9.7 kilometers) from Louisville Zoo and Kentucky Fair & Expo Center, 7.8 miles (12.5 kilometers) from Churchill Downs, and 9.5 miles (15.3 kilometers) from the attractions of downtown Louisville. Seneca and Cherokee Parks are nearby. 7.8 km from Louisville Intl. 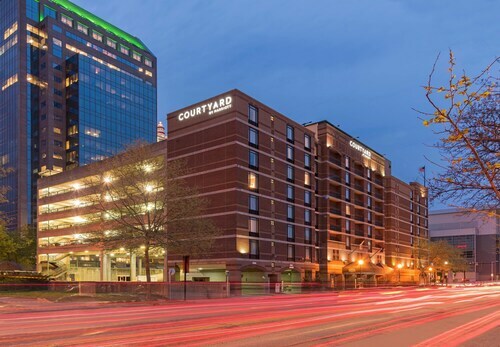 Located in West Main Historic District, this hotel is within a 10-minute walk of KFC Yum Center, Kentucky International Convention Center, and Fourth Street Live!. Louisville Slugger Museum and Louisville Palace are also within 1 mi (2 km). 0.6 km from Louisville Intl. 4.3 km from Louisville Intl. 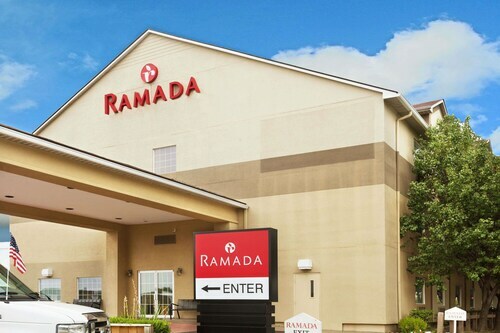 Situated in Louisville, this hotel is 3.1 mi (5 km) from Jefferson Mall and within 6 mi (10 km) of Kentucky Exposition Center and University of Louisville. Churchill Downs and Louisville Mega Cavern are also within 6 mi (10 km). 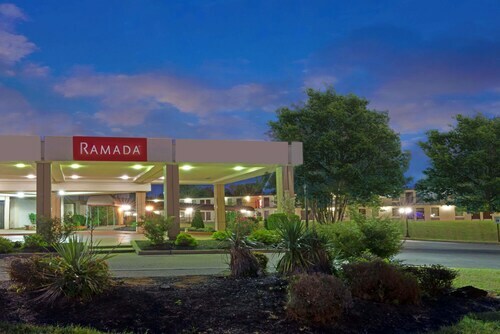 Situated in the suburbs, this hotel is 1.1 mi (1.7 km) from Louisville Champions Park and 2.6 mi (4.1 km) from Louisville Waterfront Park. Patriots Peace Memorial and Historic Frankfort Avenue are also within 3 mi (5 km). 13 km from Louisville Intl. 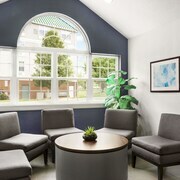 Situated in the business district, this hotel is within 1 mi (2 km) of Mall St. Matthews and Baptist Hospital East. Oxmoor Center is 1.5 mi (2.5 km) away. When you hear, Welcome, you know it's time to return your seat to the upright position and get ready to land at Louisville International Airport (SDF) in Louisville. The airport does not have any places to stay right beside it. 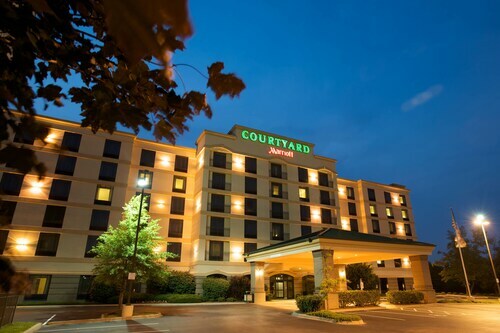 However, you'll still be quite close when you stay at the Courtyard by Marriott Louisville Airport, which features complimentary airport shuttle service and 24-hour concierge. The Crowne Plaza Louisville Airport Expo Center is another good possibility. It doesn't matter if you have an eye-wateringly early flight, need a rest between long hauls or just value convenience, staying a comfortable drive from the airport is never a bad idea. 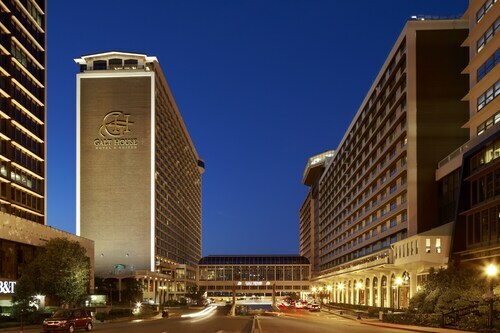 The 21c Museum Hotel Louisville and the Brown Hotel are among the 18 hotels to consider in Downtown Louisville, a popular area 4 miles (6 kilometers) away. 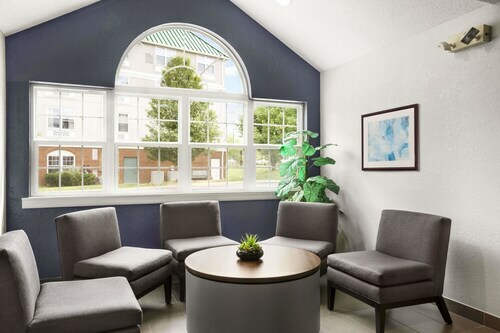 Just as convenient is the neighborhood of West Buechel, where you'll discover 4 choices. You're likely to run into some fellow travelers at the Holiday Inn Express Louisville Airport Expo Center and the Red Roof Inn Louisville Fair and Expo. People travel from all over for a chance to see the Muhammad Ali Center. From the terminal, you only have to go 5 miles (8 kilometers) to reach it. Feeding your wanderlust has never been so simple! 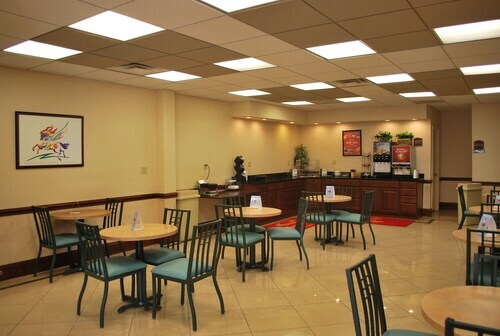 Your Louisville International Airport hotel is only a click or two away. I did not like the cost of the hotel. There were not very many amenities for a $200 a night hotel room. There were no washer or dryer for our volleyball team to wash uniforms. It was very inconvenient to have to go to another hotel. Wonderful facility with easy access to Yum Center. More Ways To Wander Louisville Intl. Modern Classic! Close to Everthing! Sleeps 10 Expo Center Super Close! The Call to Post! 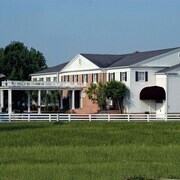 - A Premier Louisville Destination for Churchill Downs!